You might have heard the news if you are a Curious Minded girl with an addiction to all things STEM! Rosetta set-off from earth in 2004 for it’s target: comet 67P. A comet is a celestial object consisting of a nucleus of ice and dust. You often see them represented with a “tail” of gas when near the sun. Rosetta is solar powered and in June 2011 the probe traveled so far out into the solar system that it suffered from a lack of solar power. Most of its systems had to be shut down for a two-and-a-half year hibernation! The probe swung back towards the Sun in January this year and, after several tense moments, roused itself from it’s long nap. Rosetta has slingshot around Earth three times and once around Mars. 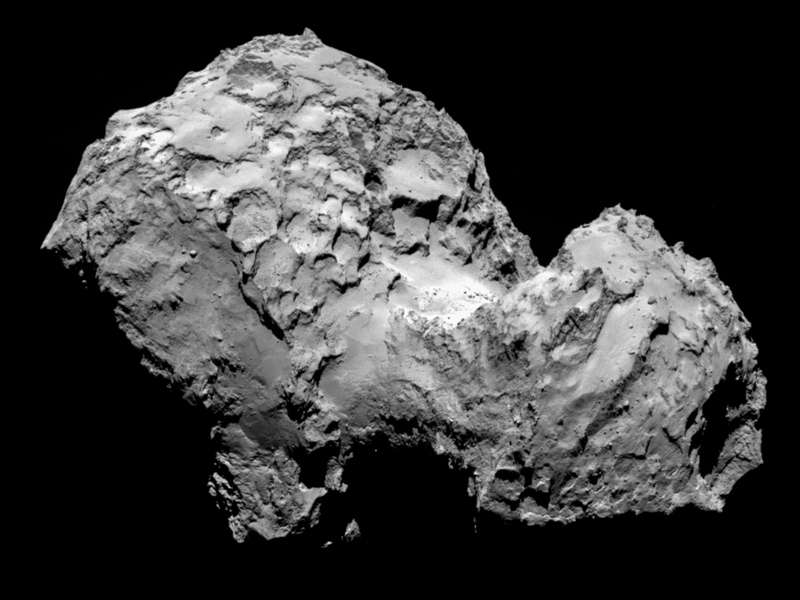 You can view Rosetta’s first postcards on the European Space Agency’s website. Next Next post: Happy (early) National S’mores Day!